MSOE offers several options when it comes to on-campus housing. Most of our freshmen and sophomores live on campus. Milwaukee School of Engineering policy requires all unmarried freshmen and sophomores under 21 years of age to live in the residence halls unless their primary residence is 30 miles or less away and the student commutes from the residence of a legal parent or guardian. Living in the residence halls provides some of the most memorable moments of your campus experience. 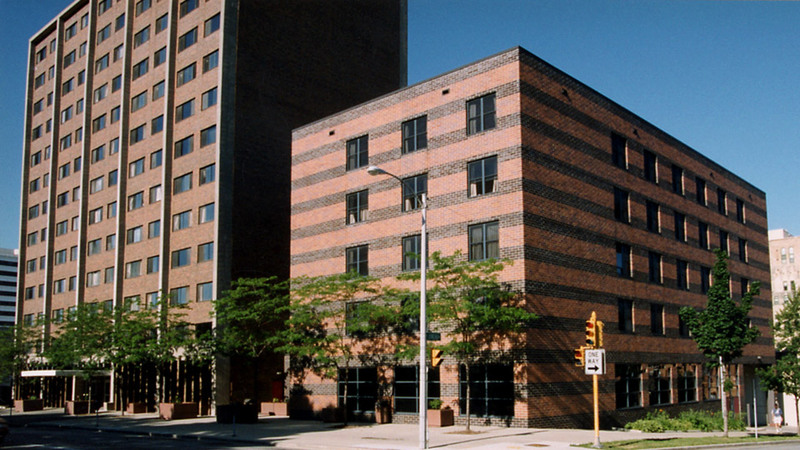 MSOE has three residence halls: Loock Hall, Johnson Hall and Regents Hall. Each hall has both single and double rooms on each floor. Residents may choose which hall they would prefer to live in. However, Regents Hall and single rooms are typically available only for upperclassmen. MLH is comprised of 11 floors of double and single rooms. The hall is co-ed and the floors are separated by gender. Each floor provides a lounge and community bathrooms for 35-40 students. MLH features a TV lounge, 12th floor lounge, laundry room, mailboxes, and is the home of the Resident Hall Association meeting room. The Public Safety Department is also located in MLH. 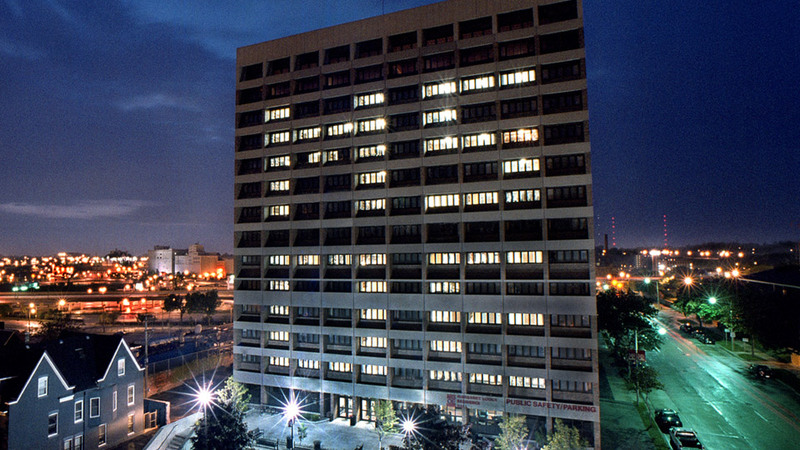 Constructed in 1967, MLH is named after the wife of a former president of Allen-Bradley Co. (now known as Rockwell Automation), Fred Loock, who was chairman of the MSOE Board of Regents. RWJ is comprised of 12 floors of double and single rooms. The hall is co-ed and the floors are separated by gender. Each floor provides a lounge and community bathroom for 30-40 students. RWJ connects with Regents Hall and features a TV/vending machine lounge, laundry room and study lounge. Dedicated in 1965, the building also contains the Residence Life Office, a dining hall, Roscoe’s late night dining, and the Food Services Office. Regents Hall is comprised of four floors of suite style housing for upperclassmen and freshman females. Each suite has single and/or double rooms, bathroom, and common area for 3-5 residents. RGN connects with RWJ and features a TV/vending machine lounge, laundry room, and study lounge. The hall was built in 1990 by Kahler Slater Architects as an addition to RWJ and connects to the Residence Life Office, a dining hall, Roscoe’s late night dining, and the A'viands Food Services Office. Love robotics? What about outdoor adventures? Is music your thing? 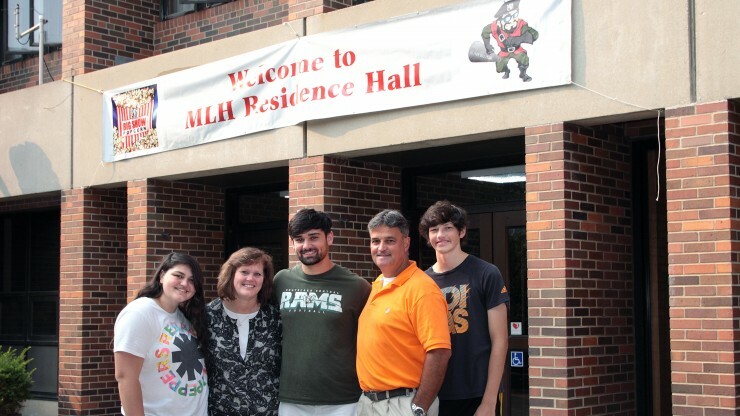 Check out MSOE’s Themed Living Communities (TLC) in the residence halls. Incorporate your extra-curricular interests into your residential experience by living with like-minded students. Resident Assistants (RAs) will help lead and plan activities. Do you like designing and building robots, or coding them to do amazing things? Bring your best ideas to this TLC and see what you and your floormates can bring to life. MSOE may be in downtown, but adventures abound. With bike trails, hiking paths along the lake, and tons of nearby parks, the sky is the limit for the activities you might do. Host a jam session, visit the theater, rock out at a concert, or sing your heart out. No matter what you and your floormates choose to do, this TLC will be music to your ears. There are no requirements to live in on a TLC floor, other than wanting to live with others who share your interests. TLCs are available on a first come, first served basis, and registration is open to all residents. There’s only one restriction: half of each floor will be reserved for freshmen, while the rest will be filled with returning students. Be sure to indicate which TLC you’re interested in on your Housing Application. Contact the Residence Life office for more information. Whether you're a new or returning resident, we have three helpful steps to make moving in to our residence halls or Grohmann Tower a breeze!